Grow your business. Marketing automation and communication software that works. Demandforce helps you attract new clients and retain existing clients through proven marketing methods. Our cloud-based software allows you to connect more efficiently by optimizing how you market and communicate. The proof is in the results - see how Demandforce has helped thousands of businesses. *Based on 12 months of data. Results may vary. Demandforce is your complete marketing automation solution that manages your patients and customers. Our marketing platform is perfectly tailored for small businesses, private practices, and independent shops. All of our call, text, and email systems are HIPAA compliant, ensuring your client's data is always protected. Save time and effort with email, text, and voice appointment reminders. Automated appointment reminders keep your clients informed and on time. In today’s digital world, an online reputation is just as important as an offline one. 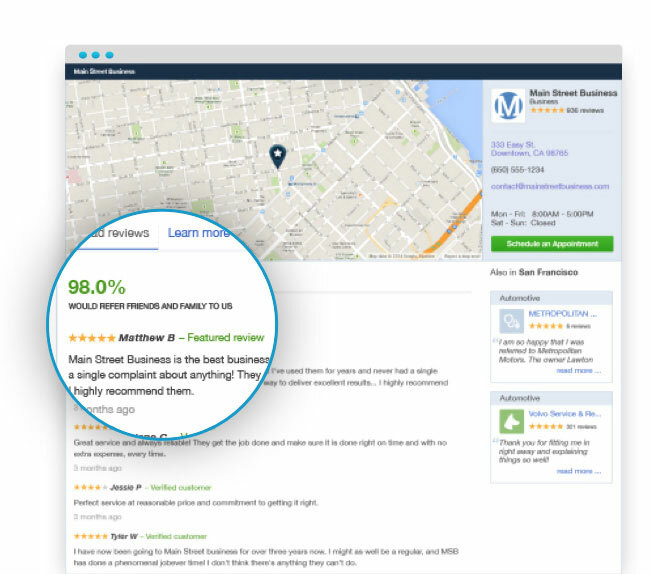 Build your online reputation by collecting and showcasing customer reviews. 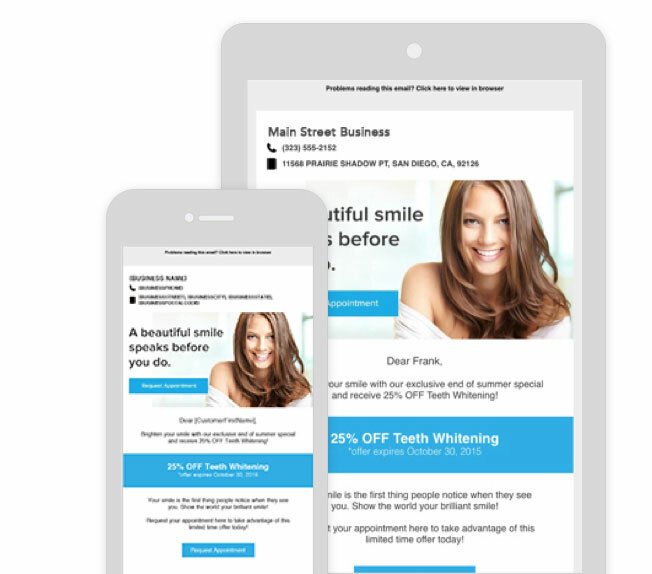 Retain clients and encourage repeat visits with our advanced email marketing and communications platform featuring automated past due reminders, targeted offers, and customized emails. Make it easy for clients to request and book appointments online with our online appointment scheduling. 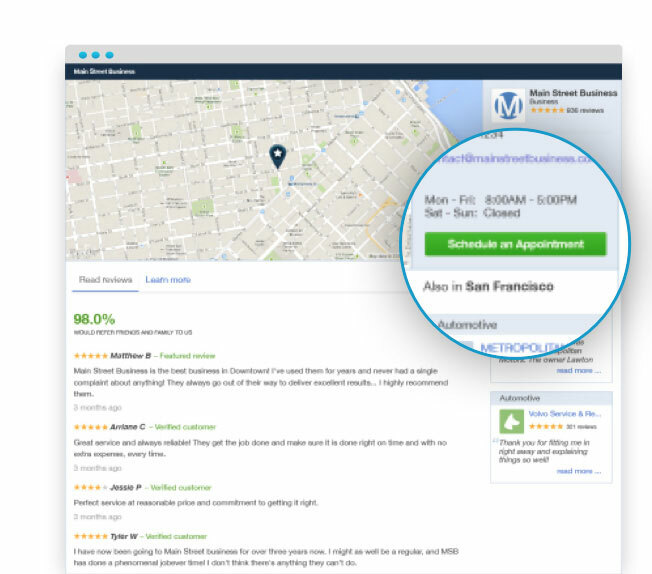 Already have an appointment scheduler? We easily integrate with most management systems. Whether you’re in the health, spa & salon, or automotive industries, Demandforce has the capability to streamline your marketing and communications efforts. Our platform augments your client outreach through custom emails, automated appointment reminders and online reviews.